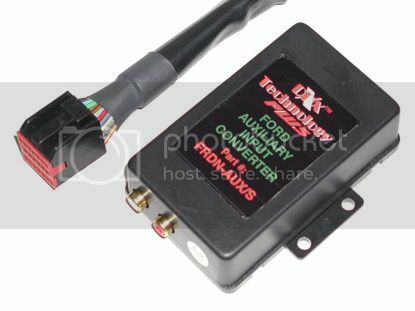 The PIE FRDN-AUX/S auxiliary interface for radios with SAT button connects to the 16 & 20 PIN plugs at the headunit converting the satellite radio port and controls into an auxiliary audio input port that you can select from the SAT button the auxiliary interface with RCA connectors provide you digital sound quality. 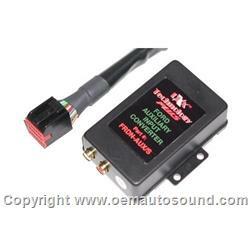 With this converter installed, you can connect and listen to any external audio sources such as iPod's, iPhone's, iPad's, XM Satellite Radio, Mp3, Video Game Systems, DVD player or any other device that has a headphone/RCA audio output without using an inferior FM modulator or transmitter. *Radio must have "SAT" Button. The Best choice for those who use a variety of audio devices. The cable plugs into any audio device that has a headphone jack (3.5mm output) that can then be connected to the Auxiliary Input Converter to provide audio.